Ask the Doctor: How Do You Run 50 Races Without Injury? Dr. Franklin Kase, D.P.M. Photo by Daniel Deitch. It’s practically unheard of for a runner to never have been injured. 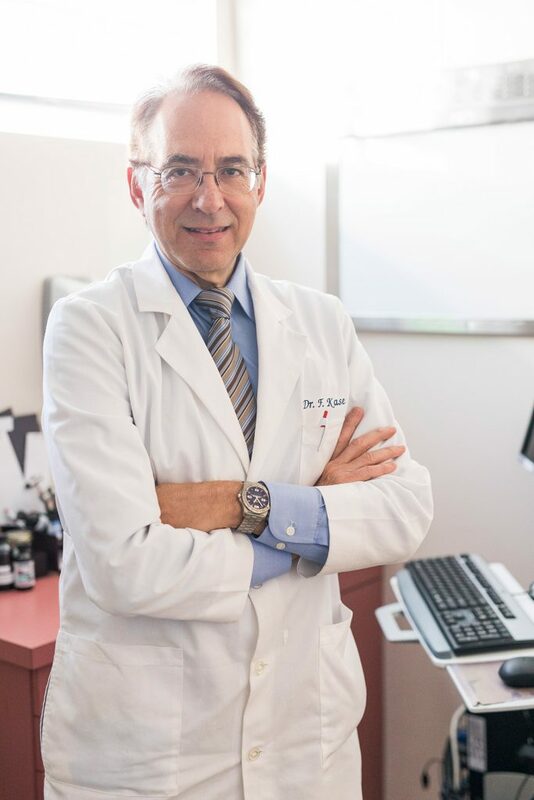 But sports podiatrist Dr. Franklin Kase, D.P.M., of Providence Saint Joseph Medical Center and Burbank Podiatry Associates Group, can boast such a nonevent. In his 40 years of running, he’s completed 50 half marathons and six full marathons without suffering any leg or foot injuries. “I’m 66 and I feel great,” he says. We asked him about his secrets for staying injury-free and his tips for choosing a supportive shoe. Kase credits the following routine with keeping him running. Warm up. “Warmup is important because it gets blood flow to the muscles and it allows them to get maximum oxygenation,” contributing to maximum flexibility, Kase says. If you’re getting adequate support for your feet, you’re getting adequate support for your knees, your hips and even your back, he says. Also, because many people wear lousy shoes at work and then wear “not-so-great shoes” when exercising, Kase notes, they’re going to be much more prone to foot, ankle and heel injury. “You want a shoe that’s firm,” says Kase. Squeeze the heel area with your thumb and forefinger. The less give it has, the more support it offers. Give it a twist. “It shouldn’t twist” when you hold the shoe lengthwise. Kase recommends sports-specific shoes: “You shouldn’t play tennis or do aerobic dancing in a running shoe.” That’s because those are lateral-motion activities and running is a forward-movement sport. But when it comes to walking and hiking on mild terrain, running shoes are best, he says. The worst surface to walk and run on is concrete. “All the shock that’s transmitted when the foot makes contact with the ground goes up the leg,” Kase says. Asphalt, which is street pavement, and other surfaces such as grass and dirt have more yield and absorb more shock. But if you run on grass and have a tendency toward unstable ankles, he adds, be aware that you could injure them. Go one or two laps counterclockwise and then reverse it and go one or two laps clockwise. “It may look a little weird but you have less risk of injury,” he says. Heel pain: “I take care of a lot of people [who work] in the studios. A lot of studio people are on their feet extensively — lighting people, set painters, directors who stand behind cameras. They’re all on hard and uneven surfaces,” Kase says. He often suggests orthotics. Ankle sprain: People who have unstable ankles or have had previous injuries that weren’t treated are most susceptible to sprains, Kase says. Once a ligament is injured severely, it’ll never recover the same integrity it had before. But most people don’t get proper treatment, such as rehabilitation, or physical therapy. “It’s really important they strengthen the muscles around the ankle to restore the stability so that they don’t wind up getting injured again,” Kase says. Also at higher risk are athletes who play volleyball, basketball and tennis, because those sports involve side-to-side motions. Ready to put these exercise safety tips to use? Check out “Fit for the New Year” for an overview of fun workout options in and around our neighborhood. Brenda Wong is a senior editor for Toluca Lake Magazine. Last marathon run: JetBlue Long Beach half marathon, October, 2017. First marathon: 1990 Los Angeles Marathon. He’s since run it four more times and completed the New York City Marathon. 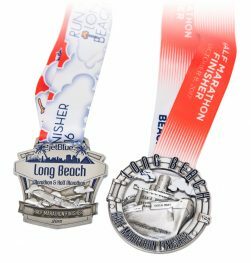 Favorite marathon site: Long Beach, because the course is along the water. Running sites: Griffith Park, Hollywood Reservoir, Santa Monica — along Ocean Avenue, Palisades Park and 26th Street. Scary moment: Kase has been hit from behind, by a bicycle. He suffered minor scrapes and it’s why he now runs against traffic. Credentials: Double board certified in foot and ankle surgery and foot and ankle medicine. Fellow of the American Academy of Podiatric Sports Medicine, chair of health policy for the California Podiatric Medical Association, fellow of American Professional Wound Care Association, fellow at American College of Foot and Ankle Surgeons and American College of Foot and Ankle Orthopedics and Medicine.